It had been 20 years since my last trip to Israel, and all I remembered were overcrowded sights and frustrating logistics: wall-to-wall tour groups on the Via Dolorosa, endless lines snaking through the Church of the Holy Sepulchre, hours of rigmarole just trying to rent a car with collision-damage coverage for the areas we wanted to drive in …. They are your insurance against bad weather. 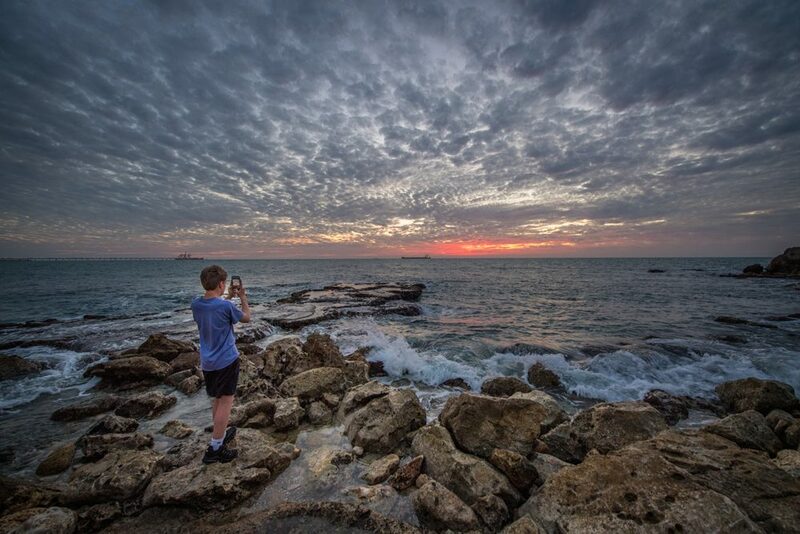 I chose to take my family to Israel during the kids’ February school break because February is Israel’s low season. That means fewer crowds and lower prices, but it can also mean the possibility of torrential rains. 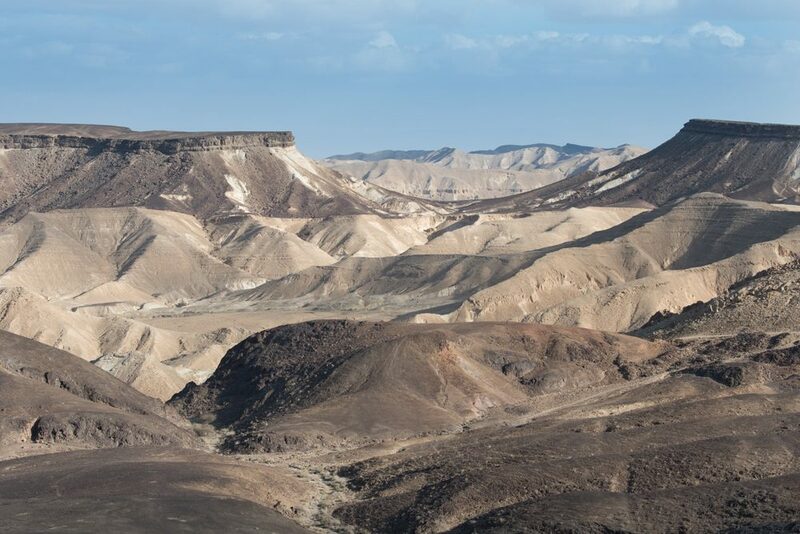 Although it did rain in Israel while we were there, we never saw one drop, and that’s because Joe has the flexibility and connections to nimbly alter itineraries based on the weather or other surprises. 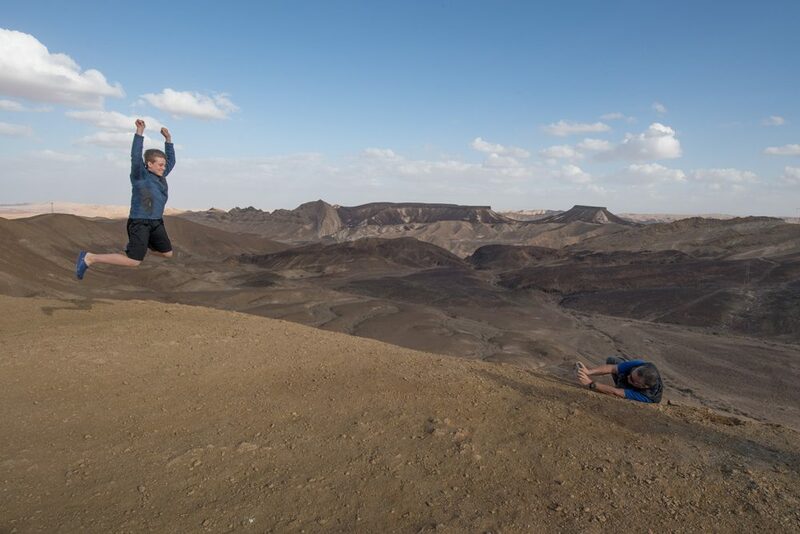 When it was raining in the north, we headed south for sandboarding in the Negev Desert and scuba diving with dolphins in the Red Sea. When the rain was over, we headed north to the green vineyards of the Golan Heights. Joe can also move things around so that, if it does start to rain where you are, you can either hit the indoor must-sees (say, view the Dead Sea Scrolls in the Israel Museum, or go to the Ayalon Institute—a secret 1940s ammunition factory, built beneath a kibbutz to fool the authorities at the adjacent British army base, that was pivotal to winning the Independence War in 1948) or you can do below-ground activities (say, explore Hezekiah’s Tunnel beneath the City of David, or dig for artifacts from the Hellenistic period at the archaeological excavation at Tel Maresha, pictured above). They put you in the right place on the right day. They get you past the crowds and lines. 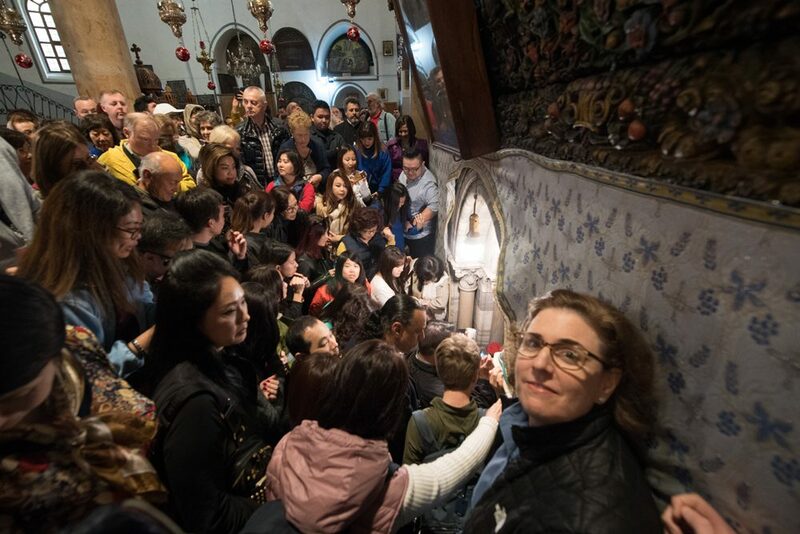 One of the most crowded sites in the world is the spot that is recognized as the manger where Jesus was born, deep inside Bethlehem’s Church of the Nativity. 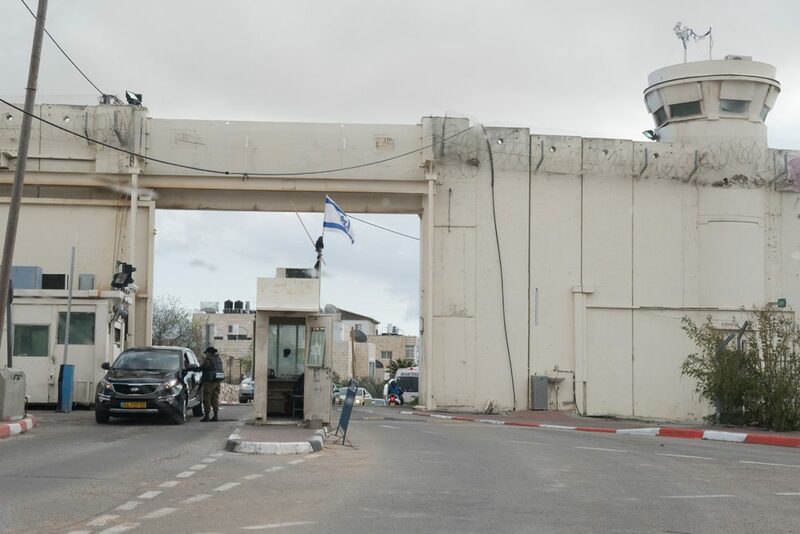 Just one of the factors that make a visit tricky is that Bethlehem is in an exclusively Palestinian-controlled part of the West Bank where Israelis can’t go, which means you need a Palestinian guide—but one who can make the traffic and bureaucracy at the border checkpoints disappear. Most travelers get handed from an Israeli guide on one side of the border to a Palestinian guide on the other, but Joe skips all that by using an Arab Christian guide, Daniel Sahwani, who met us on the Israel side, drove us (in a gleaming new white Mercedes van) into the West Bank, showed us everything we wanted to see in and around Bethlehem, then dropped us off back in Jerusalem’s Old City, all in record time. You also want a guide with the right connections both outside and inside the Church of the Nativity. When we got to Bethlehem, Daniel artfully managed to park the van in a small V.I.P. lot right at the front door of the Church. He shepherded us past a very long line comprised of umpteen tour groups (according to Daniel, the line was four hours long and, in high season, it can take all day) to the door and staircase that lead to the underground Grotto that is recognized as Jesus’s birthplace. In the photo above, you can see the mad crush at the door to the Grotto. You can also see Daniel ahead of me (well, the side of his face), near the door, leading my 14-year-old (light brown hair, olive shirt), to his right, through the mob. Down in the Grotto, Daniel made sure we had enough time to photograph the manger. (You’re officially allowed only about two seconds.) Then he led us into the adjacent Church of St. Catherine, the Catholic chapel where Christmas Eve mass is broadcast to television audiences around the world, and showed us other sights in Bethlehem, including edgy Palestinian street art, before zipping us out of the West Bank and back to Jerusalem, all in just a couple of hours. It was like watching a magic act. They get you to each sight at the best moment. 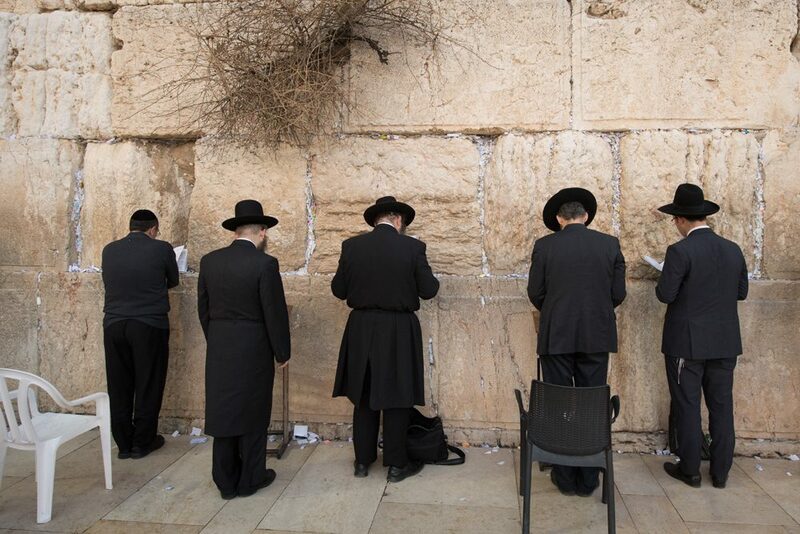 The Western Wall is at its most interesting on Fridays at sundown, the start of the Sabbath. You’ll see young men in dashing suits and Lubavitcher fedoras, old men in long black robes and Lithuanian fur hats, and all manner of other traditional garb and headgear worn by worshippers’ Eastern European ancestors. You’ll see female soldiers joyously singing and dancing in groups, with machine guns strapped around their bodies. You’ll see and hear multifarious small collections of worshippers holding their own services, singing their own songs and dancing in their own circles. Joe made sure we arrived shortly before sundown (which, depending on the time of year, could be any time between 5:00 pm and 8:15 pm). Using cameras (or any other electronic devices) during the Sabbath is not smiled upon, so Joe also made sure we got to the Western Wall on another day when we could take photos of our kids doing as the locals do—writing their prayers on small slips of paper, wadding up the paper, and cramming it into a crack in the Wall. They know cool new ways to see old places. 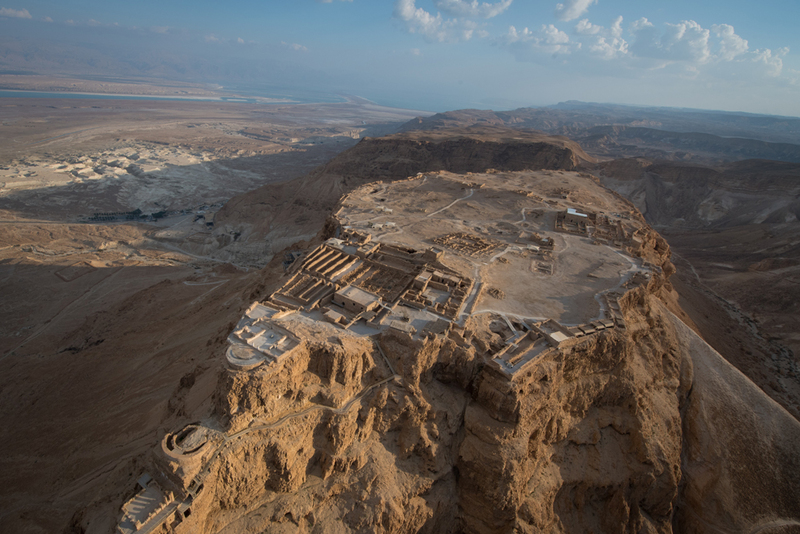 Whether you’re hiking up to Masada—the 2,000-year-old fortress-palace built by King Herod atop a rock plateau in the Judean desert overlooking the Dead Sea—or ascending by cable car, you can’t see any of the ancient city till you’re on the mountaintop. Most people explore the fortress only at eye level. But, thanks to Joe’s friend Segev Baram, a flight instructor with a powered paraglider, we got to enjoy aerial views too. 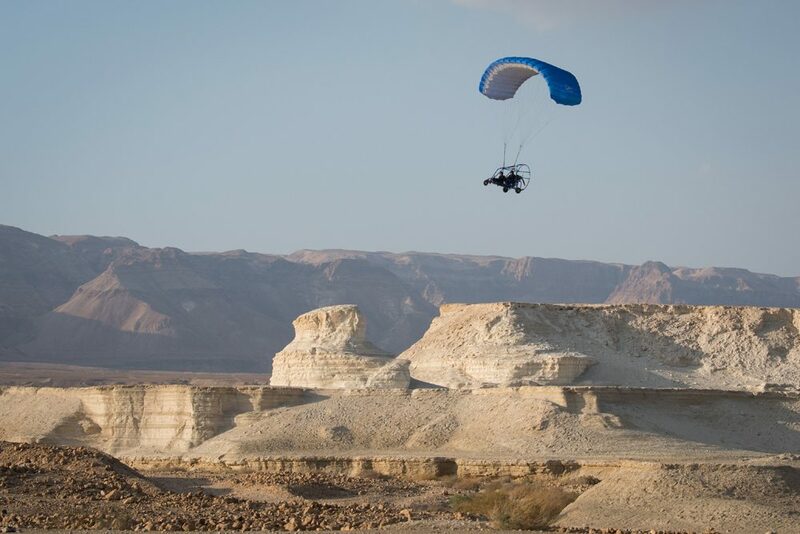 We each took a turn soaring over Masada and the sites of ancient Roman camps in the desert, and then over to the Dead Sea Canal, dipping downward until we almost skimmed the surface of the waterway. My 14-year-old says it’s the coolest thing he’s ever done. They ensure you taste the best local flavors. I can meander through foreign food markets all day long, losing myself in the scents and colors. But when time is short and markets huge and labyrinthine, a guide who knows everybody in the market—who knows whose Medjool dates are the plumpest and whose tahini is ground the centuries-old way and where to taste which award-winning cheese—can really enhance your experience. And that’s especially true if you’re in one of those markets on a Thursday or Friday during the pre-Shabbat scramble. 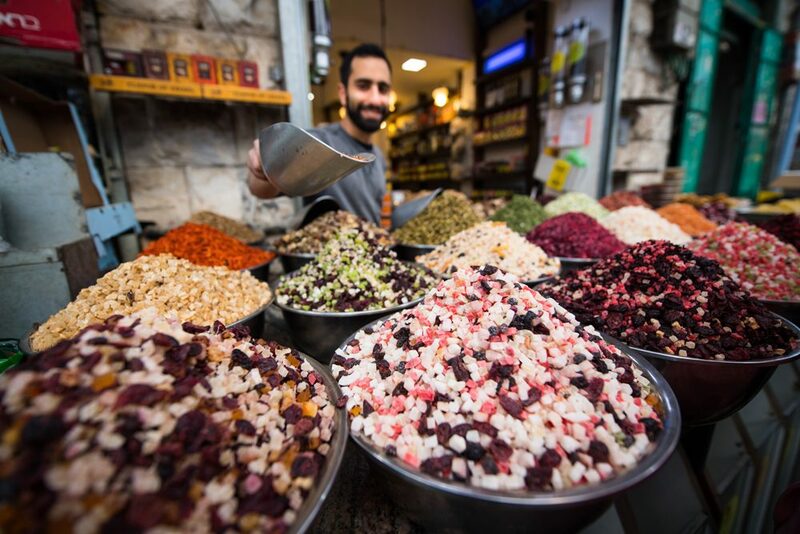 That’s why everybody in my family agrees that two of our trip highlights were our private tasting tours of two of the biggest markets: the Carmel Market in Tel Aviv and Mahane Yehuda Market in Jerusalem. At Mahane Yehuda, when we couldn’t resist buying edible souvenirs to take home, our guide arranged for our purchases to be delivered to us later, so we wouldn’t have to lug our haul from stall to stall. They reduce airport waits and hassles. Joe’s travelers get airport VIP service, and here’s what that means: When we landed at Ben-Gurion on a Saturday morning, we were met at the end of the jetway and led on an alternate path to the immigration area. We were led to a separate VIP desk, to the side of the immigration lines, where we were handed our stamped cards to get into the country. We exited the immigration area for the luggage carousel at the same moment that the first people off our flight were arriving to queue up at the end of the already long lines. Back at the airport on Sunday morning eight days later for our flight home, we were met curbside by another VIP agent who enabled us to bypass the standard check-in lanes and escorted us through security to our gate. We zipped through without a hiccup. I estimate that this airport VIP service spared us at least an hour each way standing in lines. Your passport no longer gets stamped when you enter Israel, by the way. At Immigration you are given a small laminated card with your principle details and a stamp on it. Don’t lose it, since this card gets you the V.A.T. discount when you check into hotels. They introduce you to interesting people you’d otherwise never meet. 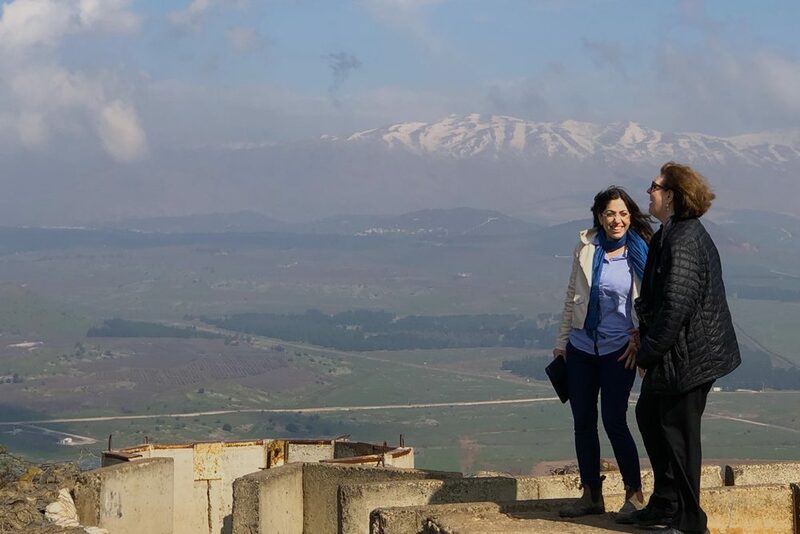 Joe told me that if I wanted to understand Israel’s outlook on the Middle East, I needed to go to the Golan Heights, an area of rolling vineyards and army bases on the border with Syria. There we met Sarit Zehavi, an expert on Israel’s security challenges at the northern borders. 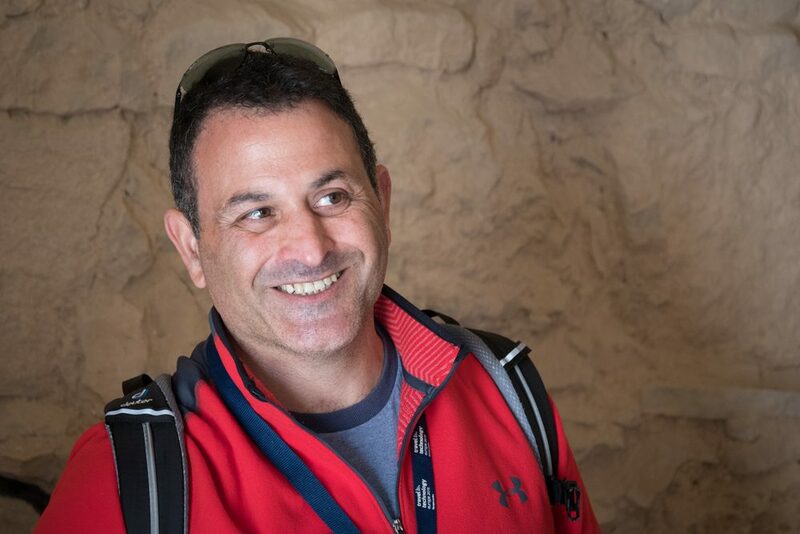 Zehavi is a 15-year military intelligence officer and lieutenant colonel in the reserves of the Israeli Defense Forces (IDF) and is also the founder of ALMA, a research and education center focused on the border conflict. She is actually of Syrian heritage (her father grew up in Damascus). She is also a mom whose house sits six miles from the Lebanese border, so she lives with a visceral sense of danger, day in and day out. Pointing to the Syrian border (see the photo above), she showed us exactly where and how the situation has been changing along it. A week after we met, Zehavi was headed to Washington, D.C., to address members of Congress and other U.S. leaders at AIPAC. Here’s what she told them. Joe also arranged for us to meet with Eitan Cohen at Caliber 3, a counterterrorism training academy that offers security solutions and intelligence operations to clients around the globe. Cohen is a charismatic and inspiring colonel in the IDF and a security expert who works in elite undercover units. 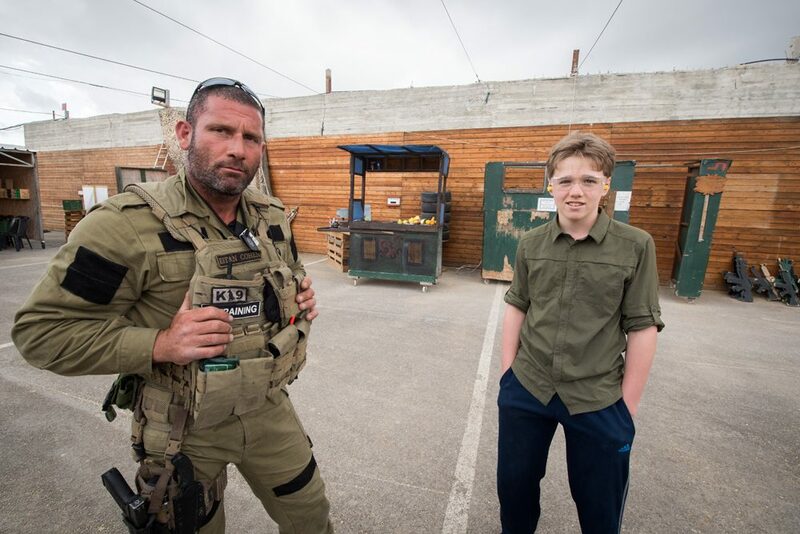 The kids got hands-on training in self-defense strategies, as well as an unforgettable lesson in patriotism and how profound love of country—like Cohen’s for Israel—is what inspires soldiers around the world. 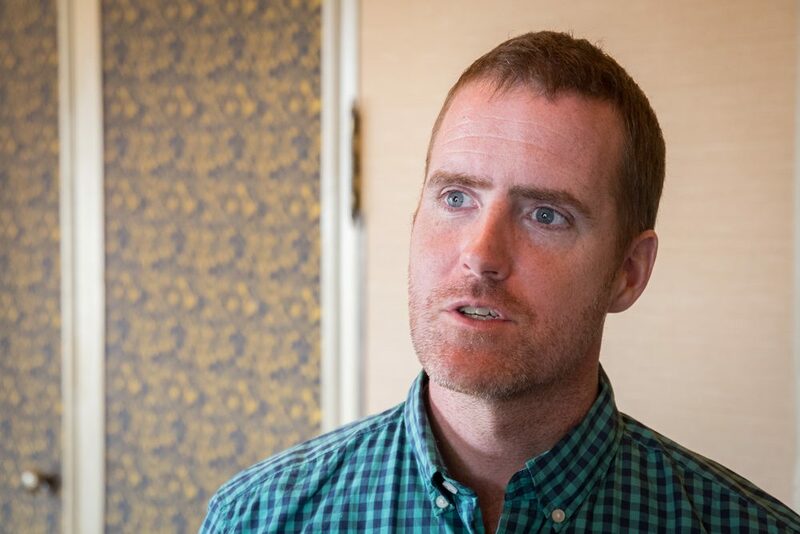 Of the local journalists Joe offered to connect me with, I chose Matti Friedman, a former Associated Press correspondent who also served in the Israeli army. Friedman is the author of two award-winning books, The Aleppo Codex and PumpkinFlowers: A Soldier’s Story of a Forgotten War, and his third book, Spies of No Country—the story of Israel’s first spies in 1948—is coming out in November. 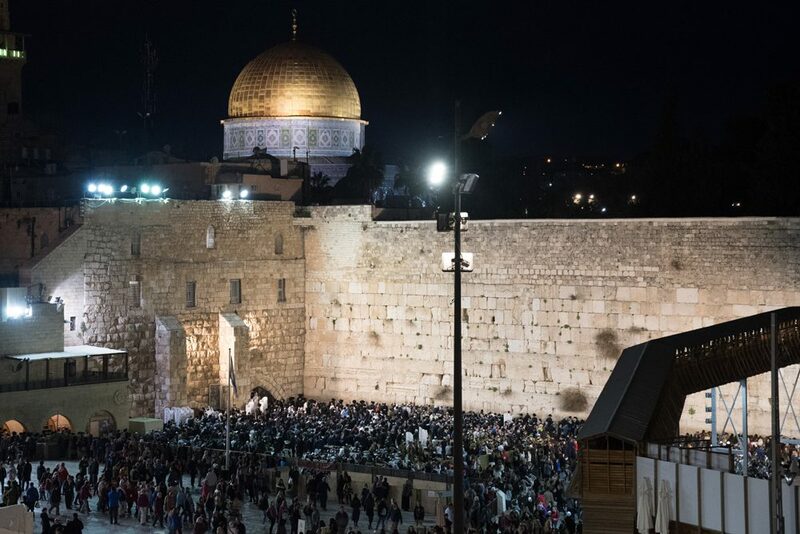 Friedman believes that, because of the way news about the Middle East is framed by Western news media, many travelers are left with a lot of misconceptions about Israel and the situation in the Middle East. As just one example, people think Jerusalem is dangerous, but last year there were only 27 deaths in Jerusalem caused by acts of violence, compared with 133 in Jacksonville, Florida, and 175 in Indianapolis (cities similar in size to Jerusalem). Social problems that Americans take for granted—health care, homelessness, gun control—hardly exist in the same way in Israel. For instance, Friedman has four kids and pays only $56 per month for health care for his whole family. As for his perspective on conflict in the Middle East, the main takeaway was: Don’t come to Israel with a lot of preconceptions. Or, if you do, meet with Friedman. I went to Israel thinking most of my time would be spent on sites of historical, cultural, and religious significance. As it turned out, most of my time was spent eating. 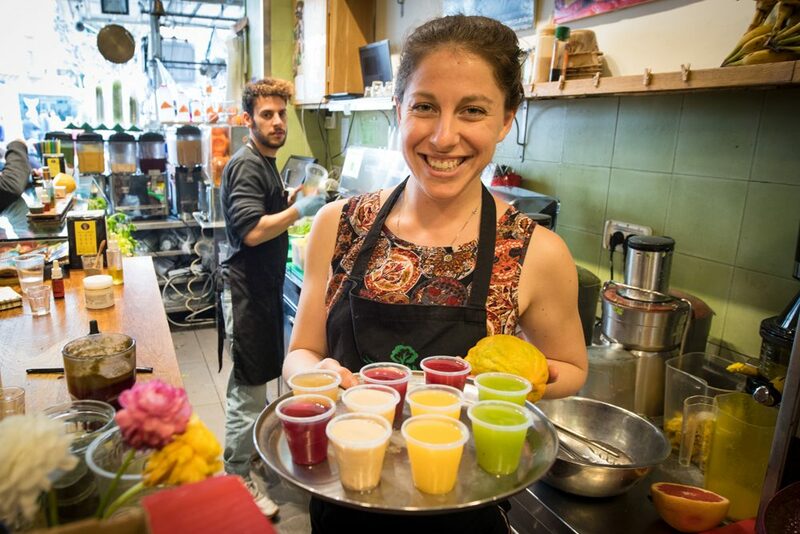 Israel’s culinary scene has been exploding, and one of the reasons why is Chef Tali Friedman. 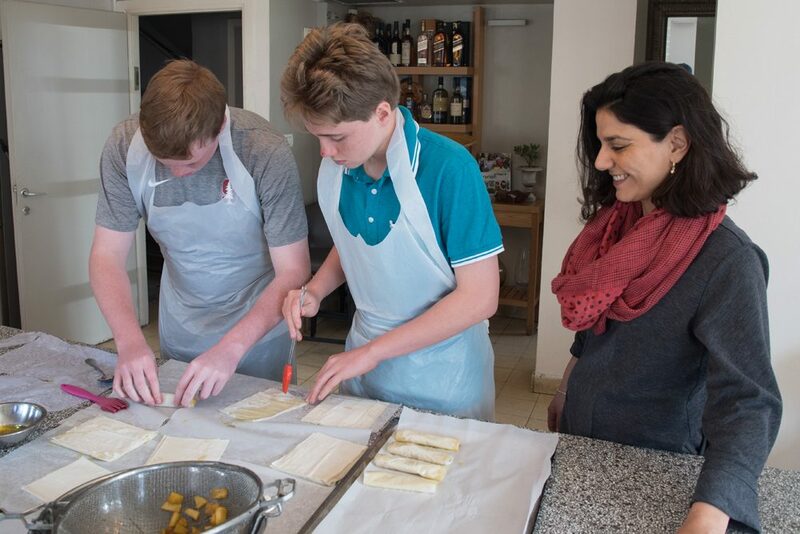 She gave us a cooking lesson in The Jerusalem Atelier, her kitchen workshop inside the historic Mahane Yehuda Market, and then we got to eat the feast we had cooked. I’m still dreaming of the best eggplant dish I’ve ever tasted: roasted Baladi eggplant, grilled over an open flame until scorched and smoky, with tahini and balsamic vinegar drizzled on top. So simple, yet so flavorful. We took the recipes home with us, but I’m not so sure I can replicate them without easy access to the superb produce and ingredients in the Market. 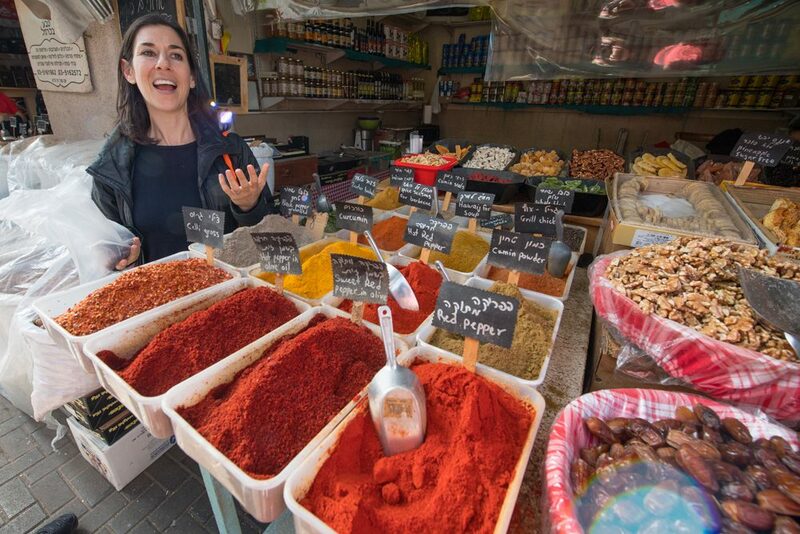 We also had a blast with Inbal Baum, founder of Delicious Israel, who steered us to her favorite stalls and shops in the Carmel Market, Tel Aviv’s largest outdoor food extravaganza. This eliminated haphazard guessing as to the best foods to sample—which in turn eliminated thousands of unnecessary calories—and it also meant no standing in lines: In each spot, seats and tables magically appeared for us, and then dishes suddenly appeared on them. Come hungry! 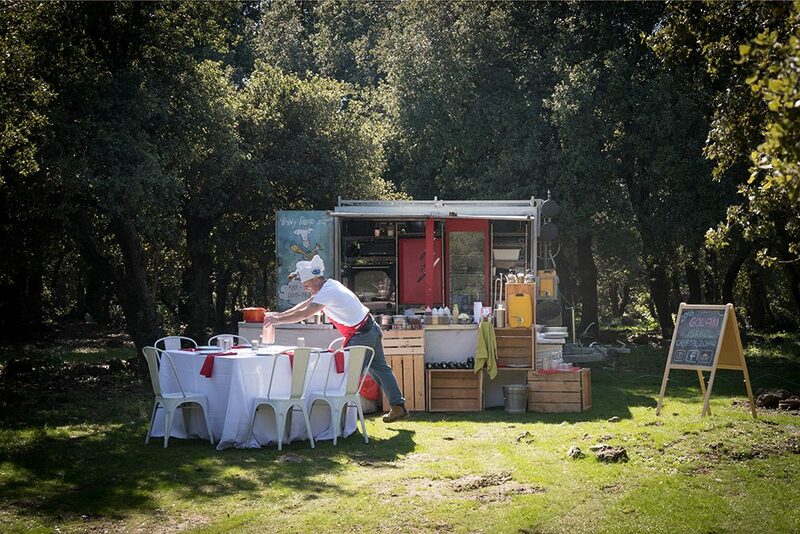 When we went to the Golan Heights, we weren’t expecting gourmet dining al fresco, but that’s the surprise that awaited us in the middle of nowhere, thanks to Chef Tal Zohar and his mobile kitchen. A friend of Joe’s with grandparents from Turkey on one side and Germany on the other, Chef Tal went to culinary school in New York City, and now he zips all over Israel creating gourmet “picnics” in spectacular locations. You can see photos of what we ate here. And here’s the maestro who made it all happen: Joe Yudin, the Trusted Travel Expert for Israel on my WOW List. 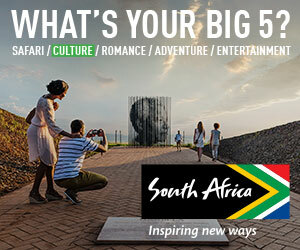 Contact Joe using this trip request form to receive the best trip possible and the VIP treatment that I did.